I won’t lie, when I was planning out what character I’d have for each day of this A-Z in April Challenge, M was going to be all about Maria Hill. 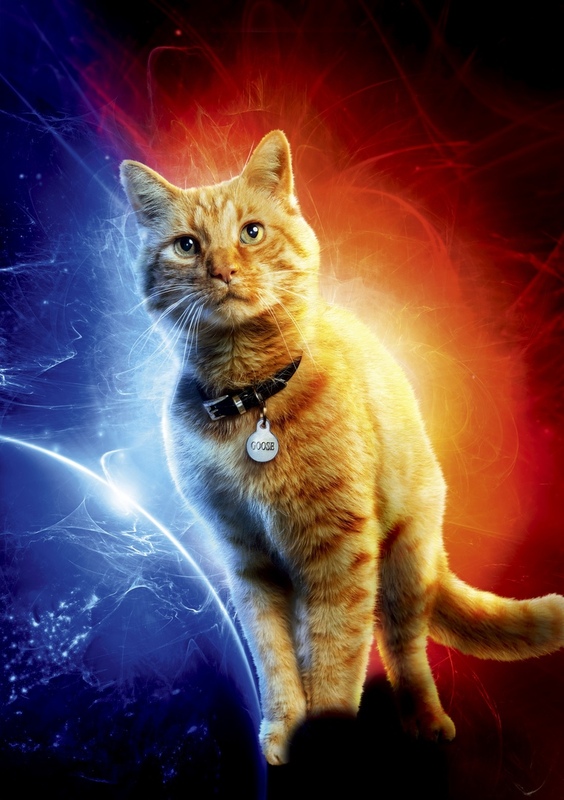 But then I saw Captain Marvel and a different Maria just had to be the one I talked about. Maria Rambeau is pretty darn great. She’s an Air Force pilot and a single mother and to be honest, if she wasn’t around, the heroes wouldn’t have done nearly so well. I think that’s one of the reasons Maria is such a well-written and interesting character. She’s not just Carol’s best friend who helps Carol figure out who she is, but she’s her own person who is important to the plot. Maria is a fantastic pilot but because she’s a woman has had to sit on the sidelines a lot of the time. However, when she gets the chance to fly, she’s amazing and can even out fly alien ships. I also love Maria’s relationship with her daughter Monica. They’re like a little partnership whilst never losing the mother/daughter boundaries. Maria is definitely a great movie mum. I really liked Maria’s attitude as well. Her best friend who she presumed was dead turns up with superpowers and there’s aliens in her kitchen, but she takes it all in her stride. She’s strong-willed, smart and caring but that doesn’t mean she won’t tell people what she thinks and gives some home truths if needed. 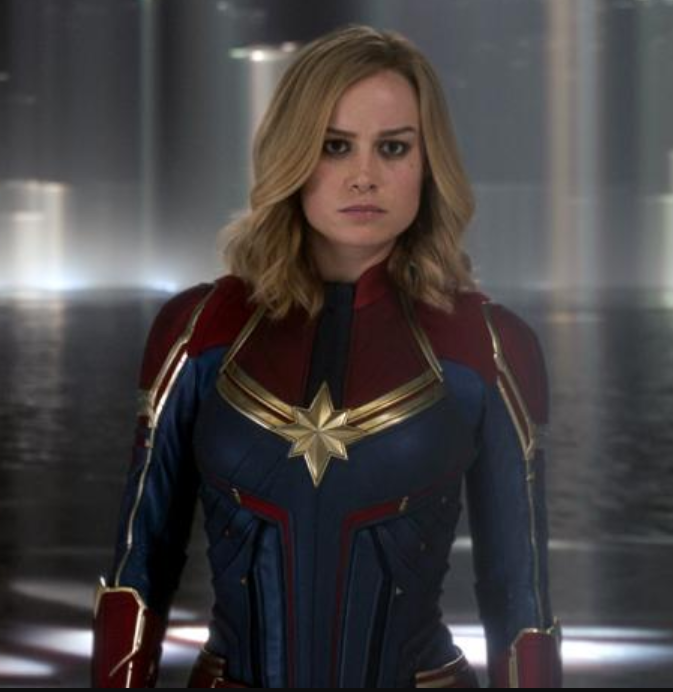 I’m sad that with the likely time difference between Captain Marvel and any future films featuring Carol Danvers, that if she and Monica do meet again it’s likely that a different actor will play Monica. 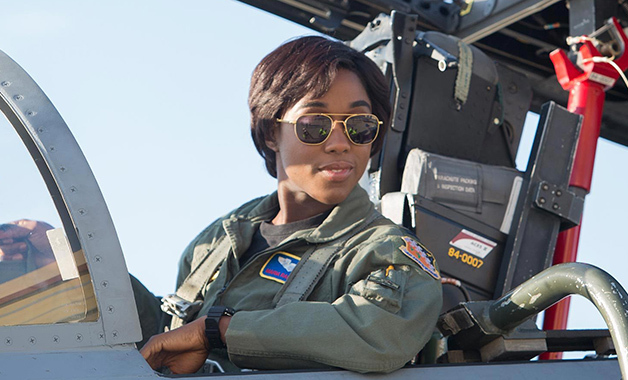 It’s a shame because I thought Lashana Lynch was great and she had a lot of chemistry with Brie Larson. I shall start this by saying I’m a Marvel fan. From the animated X-Men cartoon in the 1990‘s to the films and the Marvel Cinematic Universe and I’m now branching out into the comic books. Also my two dissertations have been on comic book movies and one was specifically all about Marvel and how it became an independent film studio to a subsidiary of Disney. So besides from being a fan, I also have at least a vague knowledge of how Hollywood studios work and how Marvel has worked for the past decade. So now onto why I’m writing this post – Doctor Strange and why I’m not particularly happy. Yesterday it was reported that Benedict Cumberbatch was in talks to play Doctor Stephen Strange. His was a name rumoured for the role for weeks and other names floating around were Joaquin Phoenix, Ethan Hawke, Tom Hardy and Jared Leto – though to be honest, just about every white, middle-aged actor in Hollywood has been rumoured to be up for the role at some point or another. Now talks of a Doctor Strange movie has been going around for a while but it especially kicked off when the name was dropped during Captain America: The Winter Solider. 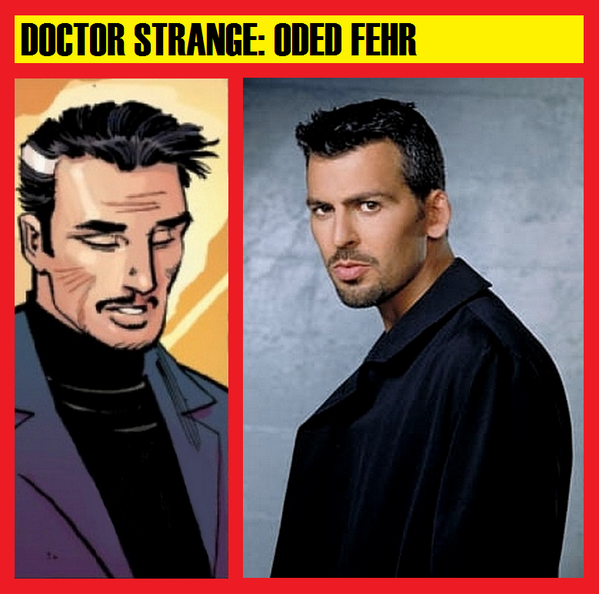 Fans were choosing who’d be their pick and mine was (and is) Oded Fehr from The Mummy. Fehr along with Pedro Pascal (Game of Thrones) turned out to be a popular choice among fans. A popular post on Tumblr of Doctor Strange fancasts include Fehr, Pascal, Alexander Siddig, Naveen Andrews and Godfrey Gao. One thing all these actors have in common is that they are not white. One problem that the MCU (and Hollywood blockbusters in general) has is that all its leads in its franchises are white men. Yes, The Avengers was an ensemble cast but of the six major leads, only Scarlett Johansen’s Black Widow was the only female character and she has yet to get her own movie. The lack of a female led film in the MCU is a discussion for another time. Doctor Strange (like the Guardians of the Galaxy before the film came out) is more of an unknown character, this would then allow the filmmakers to do something different with it. So why not cast a person of colour as the lead? Also, why does the actor have to be someone who is so well known – both in the world of fandom and in the industry? Benedict Cumberbatch is part of some major franchises with Sherlock, The Hobbit and Star Trek under his belt, if Thor taught us anything, casting two relatively unknown actors as the leads can work out really well. Chris Hemsworth and Tom Hiddleston have both gone on to be well loved by fans and critics alike. Casting unknowns can be a cheaper way to make a movie and not detract from the character with their “star power”. In short my dislike of Benedict Cumberbatch being Doctor Strange (a character I know pretty much nothing about bar the animated movie) comes down to two things. Over exposure to him as an actor and him being white. There are too many white male leads in the MCU and I’d love to see more diversity in the superhero comic book movie genre. Gavia Baker-Whitelaw also wrote a great piece about why there’s such a backlash towards Benedict Cumberbatch’s casting. As I was finishing writing this, Marvel has announced that there will be a Captain Marvel film in 2018 and a Black Panther film in 2017 and I’m excited about both (Black Panther especially) but I’m still a bit upset that there’s no Black Widow movie though there’s still no definite announcement about Doctor Strange. Who knows, maybe Benedict Cumberbatch won’t sign on to it and there will be fresh hope for a person of colour to play Doctor Strange once again? I have always loved comic book movies and TV shows – I adored X-Men: Evolution, Teen Titans and Avengers: Earth’s Mightiest Heroes and I got my dad to take me to see Spider-Man when I was 10 years old and have since gone to see just about every Marvel and DC movie in the cinema. So I love these characters, I love the films but I had never gotten around to trying the source material – the comic books. Now don’t give me that “fake geek girl” nonsense because I have nothing to prove. 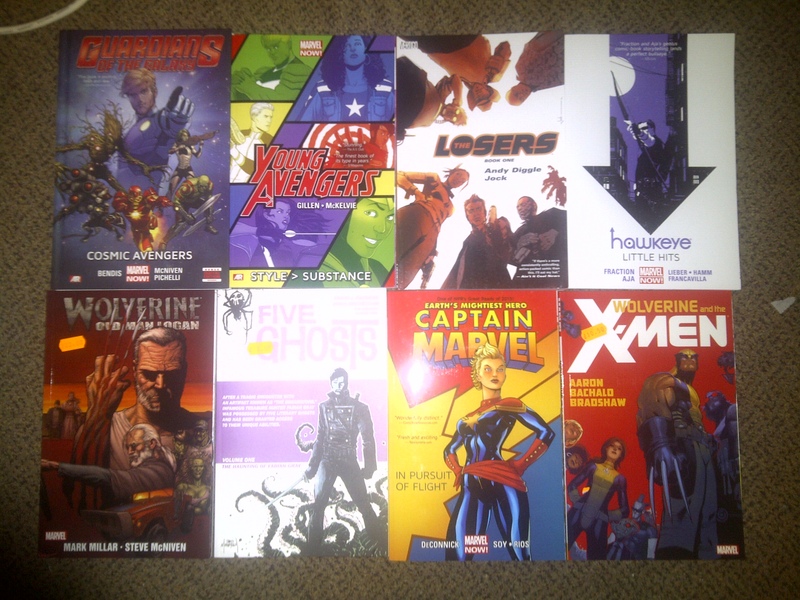 Everyone has to start somewhere, and if the start is from the TV shows or a movie then that’s fine, and it’s also perfectly fine if they never feel like picking up a comic book in their life. Wikipedia is perfect at filling in the blanks of a characters backstory anyway.